A 'UK Protect Message' sent on behalf of the National Co-ordinator for Protect and Prepare is shown in the pdf below. It relates to ACT E -Learning, which is an innovative new online counter terrorism training course. If you see something suspicious, call the anti-terrorism hotline 0800 789321. To contact the counter terrorism security advisor office with a general enquiry, please email ctsa.bouverie@kent.pnn.police.uk. Many of you will be aware that the ACT for Youth film and lesson plan, launched in 2017, included basic first aid techniques, written by St John Ambulance, which could be used to treat casualties whilst hiding during a terrorist attack. This collaboration with SJA (St John Ambulance) has now been extended to include guidance for the wider adult public and has been published on the NaCTSO website. The SJA guidance is now the official CT Policing stance on the provision of first aid, following a terrorist attack, and any enquiries you might receive should be dealt with by signposting to the SJA material. It could potentially be very hazardous to the helper to attempt CPR in the case of a chemical incident. Professional help should be sought as soon as possible. CPR in the event of an explosion or blast is very unlikely to be effective because of why the heart stopped. Providing blood is the most effective treatment for traumatic cardiac arrest of this kind. Professional help will be on the way, and securing the personal safety of survivors and potential helpers is the key priority. CPR following a stabbing or a shooting has a fractionally higher possibility of success, but professional intervention is required as soon as possible, and a positive outcome is unlikely unless blood, or some interventional means of controlling the bleeding, followed by rapid evacuation, can be provided. The guidance stresses that following a terrorist attack first aid should only be administered when safe to do so, but this does not represent a change in CT Policing core advice for anyone caught up in a gun or knife terror attack, which remains to - Run, Hide, Tell. It is acknowledged that the CitizenAid app also provides authoritative guidance, and although it can be referenced as part of a discussion or presentation it will not be formally endorsed by National CT Policing on any slides or other corporate literature. 101 is the new national non-emergency number to contact Police in your area. 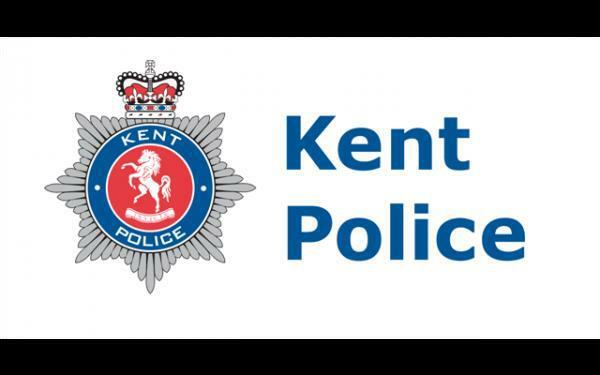 Residents in the Kent policing area should call 101 to contact their local officer, make an enquiry and to report non-urgent crimes. to give information about a crime or criminals in your local area. Each call will never cost more than 15p. Callers will be put through to Force Control Room in Kent and not a national call centre. As always, dial 999 in an emergency when life is in danger or a crime is in progress. Inspector Craig West; Sergeant Steve Holpin; Sergeant Briony Woolley and PCSO Christopher Price. Contact them by telephoning 101 or visit the Medway Police Station, Purser Way, Gillingham Kent ME7 1NE.